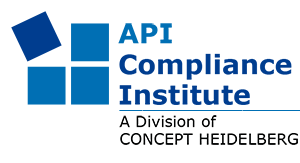 On 18 - 19 September 2018 a regular re-Audit at Boehringer Ingelheim’s API manufacturing site in Ingelheim, Germany, was performed. A re-Audit is recommended every 2-3 years in order to check the facility for on-going GMP compliance. Two certified APIC Auditors performed the Audit during the course of two days. This re-Audit was initiated by 10 customers of Boehringer. Upon completion of the audit more than 40 pharmaceutical companies purchased the finalised report. The dates for the next Re-Audit have not been determined yet.